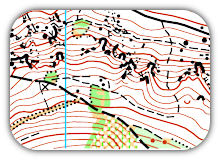 Waterford Orienteers organise events for all ages in the South East of Ireland. 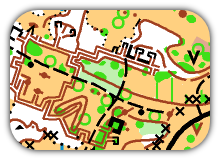 Orienteering is competitive navigation on foot. 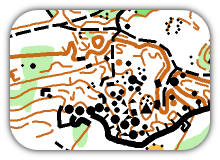 If you enjoy running or walking,if you are interested in maps and navigation, or if you like outdoor sport, then orienteering is for you. Laura and myself returned to Austria for another bout of 6 day orienteering. Laura found herself running longer courses than me for the first time as she has just entered W20 whilst I have slipped out to M55. Laura seen here finishing the last day, over 6 km, glad to return to cultural visits in Vienna!. My best performance was on the medium distance on day 3...an old army base (we are used to these in Ireland..think Curragh, Kilworth, Magilligan, Finner,etc). Managed 14th out of 42 finishers. I was delighted to beat 2 who made the A sprint final at WMOC in Hungary. Given that 5 of the top 10 overall were in the A final long distance at WMOC and the winner is a 5 day time cross country ski world champion, add in the top Austrians who were not at WMOC, I was happy to complete the competition in 23rd place. The biggest challenge was the variety of scales used. Day 1 started with a 1:7,500 and then switched to a 1; 4,000 half way through...confusing one to begin the competition with! 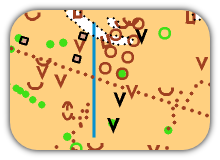 They seemed to be big into 1;7,500 on massive A3 sheets which can be confusing due to the number of times you have to refold the map.